According to the UN report, the annual value of global E-scrap is over 62.5 billion US dollars which is more than the GDP of most countries. In 2017 the global electronic and electrical scrap is over 44 million tonnes. Only less than 20% of the E-scrap is formally recycled and the rest are either in landfill or other solutions. E-scrap in landfill creates many environmental problems. For example, it can contaminates soil and groundwater. So our food supply systems and water sources are at big risk. This is why we appeal for E-scrap recycling as much as possible. Industrial E-scrap shredder machines and other recycling machines give the whole E-scrap recycling more efficient and cost effective. First, there are many valuable raw materials like gold, platinum, cobalt and rare earth elements in E-scrap. So recycling can help to reduce the material loss. Second, E-scrap in landfill will pollute the oil and impact our health. This creates many environmental impacts. Third, raw material from E-scrap recycling is one of the most important source. For example, about 7% of the gold is from E-scrap. E-scrap recycling plays a great role in world sustainable development. More and more governments kicked off the formal E-scrap recycling industry. Because a circular economy brings with it tremendous environmental and economic benefits. From E-scrap collection to new raw material for E products, a complete system for E-scrap recycling is necessary and helpful. E-scrap shredder machines plays an important role in size reduction of E-scrap. Whatever TV shells, PCB or hard drives, E-scrap shredders can always shred them into small pieces for easy handling in next process. Double shaft shredders are the most popular type of shredders for E-scrap size reduction. 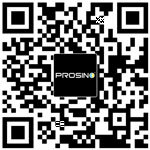 PROSINO brand double shaft shredders have many models for option to suit different size reduction requirements and output needs. Just contact us today and our professional engineering team will always at your service.